Winter is a very nice time of year to visit the Wichita Mountains Wildlife Refuge. The refuge is quieter with considerably fewer people. The deciduous trees have lost most of their leaves, which makes spotting large animals much easier. “Winter is my favorite time for visiting the refuge. There are hardly any two-legged animals running around. And there are no rattlesnakes, no ticks and no mosquitoes around,” said Jim Stone, FOW president, with a grin. Most plants have gone dormant for the winter, and a large number of animals are in hibernation. There are still a lot of wildlife to see and appreciate. 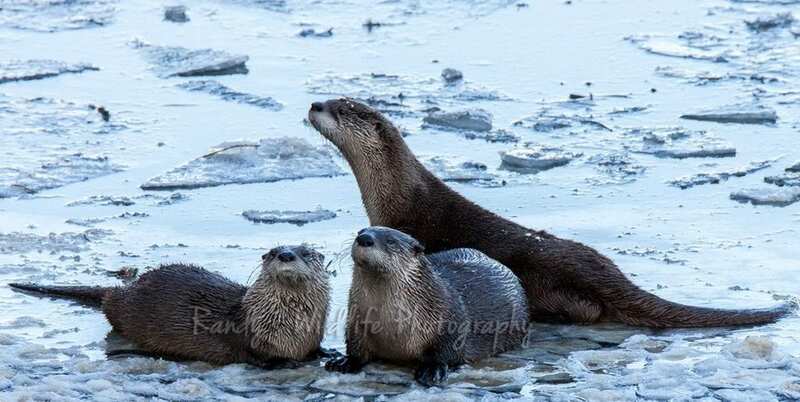 An animal that is very active during winter is the river otter. They are well adapted to cold winter conditions and can be seen around small lakes and waterways on the Refuge. Their primary diet is fish and, if you are lucky, you may see them sliding on the ice, swimming in the cold water or eating their catch. 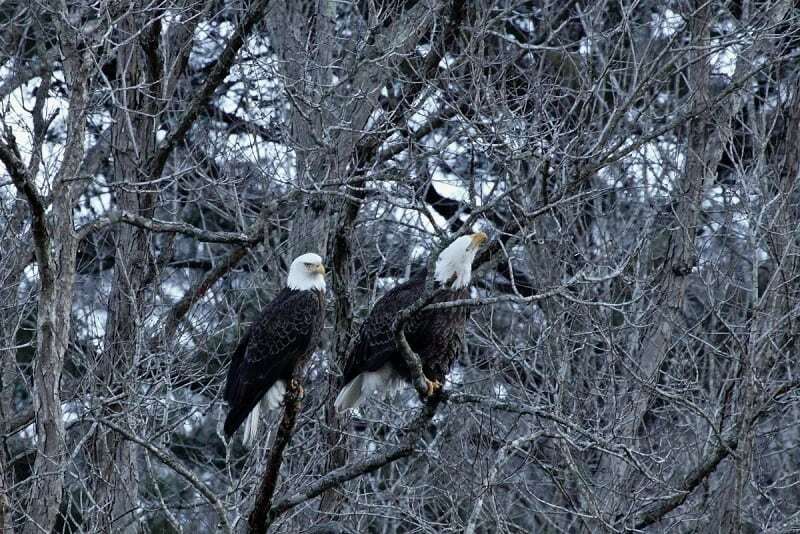 Bald Eagles and Golden Eagles return to the Refuge during the winter months. If you are quiet, stationary and patient with a good set of binoculars, you may be able to see eagles soaring high above the Refuge. 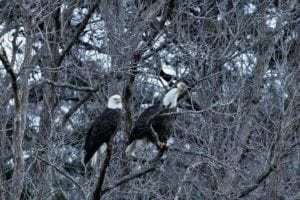 The Lake Lawtonka area normally has Bald Eagle sightings from late November through the month of February. Bald Eagles are ‘fish’ eagles and are normally seen close to large bodies of water. For birdwatchers, this is a great time of year to come to the Refuge and view a variety of bird species. For folks at home with backyard bird feeders, don’t forget to provide water, as well as suet and birdseed for those migrating and overwintering feathered friends. If you do venture out in winter to the Refuge, you must be prepared. Average temperatures during Oklahoma winters range from 20 degrees to the low 50s and can change quickly on any day. You need to be in good health, stay hydrated, be well-nourished and make sure you dress in layers to maintain body heat and reduce exertion. Everyone who goes outdoors in winter should also be well-educated about the symptoms of frostbite and hypothermia. There are family-friendly hikes every Thursday and Saturday during the winter. These hikes are free, open to the public, and you do not need a reservation to participate. Meet at the Visitor Center at 9 am. The Mountain Boomer hikes meets every Monday at the Visitor Center at 9 am. Be sure to wear good hiking shoes and bring plenty of water, a hat, snacks, sunscreen, insect repellent and a small pack.